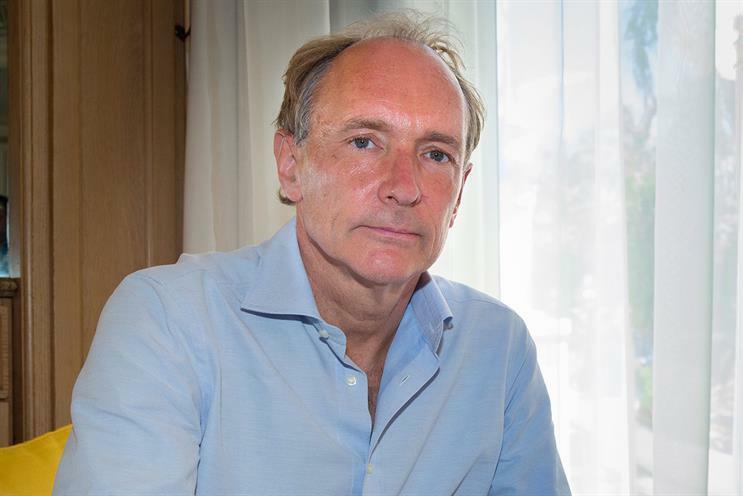 The father of the world wide web talks to Maisie McCabe about the threats posed by artificial intelligence, our relationship with data and how media outlets and advertisers should use the web. Sir Tim Berners-Lee believes the web should be a "collaborative space". In that spirit, you can collaborate on this article by adding your own comments about Berners-Lee's thoughts on the web. Highlight a piece of text and click to annotate using Genius. A young male programmer working for the world’s biggest search engine arrives in a remote compound. Waiting for him is the company’s chief executive, who has used the search queries of millions of people to develop an artificially intelligent woman and is bursting to try her out. The chief executive wants to see whether the engineer will relate to her despite knowing she’s AI. Luckily, that’s not the latest HR scandal to come out of Silicon Valley. Instead, it is the plot for this year’s surprise hit film Ex Machina. "You should check it out," Sir Tim Berners-Lee, the computer-science professor and inventor of the world wide web, says by way of an introduction to AI. 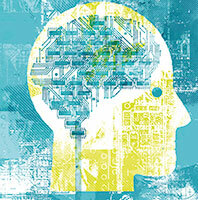 "Basically, the question is whether we can make an AI thing and stay on top of it." Campaign is talking to Berners-Lee following his session at the Cannes Lions on AI. It’s an inspiring and slightly disconcerting experience as he pauses often and tends to answer questions slightly differently to how he begins his responses – or so it seems to a non-genius brain. PHD has brought him to the advertising festival to launch its book on the topic, Sentience. PHD’s global chief executive, Mike Cooper, says Berners-Lee was the obvious choice "when you consider what the web has made possible in the past 25 years and how it will continue to be the foundation of the exponential changes over the next 25". Berners-Lee did not see it like that. He began his talk in the Palais by saying that he was not an expert in AI, in a classic example of his understated approach. After all, this is the man who was behind the defining invention of the past 30 years and yet did not properly become a household name. But when catching up with Campaign afterwards, Berners-Lee concedes that you "cannot really tell the difference" between computer science and AI any more. "We’re both trying to make machines do tasks we’re fed up of doing or things we can’t do," he says, citing online banking and the activity-diary app Moves as two ways that his life has been improved by automation. To demonstrate his point, Berners-Lee pulls out his mobile and scrolls through Moves to show the stats from the "huge run" he did yesterday and the shorter one he went on the day before. With one click, he pulls up a map of the exact routes of both runs. "That information is hugely valuable to me," Berners-Lee says. "But what other people can do with it can be scary." The information that publishers and networks obtain from tracking people’s internet use allows them to understand their weaknesses, fears and "hopes and dreams", Berners-Lee warns. And when information is captured, traded and viewed in so many ways, there is an issue in whether "it’s doing the world a favour or not". But, happily for adland, Berners-Lee believes there are bigger worries than targeted ads. "In fact, a lot of the things people are worried about are not advertising," he explains. "It’s when you’ve been searching online for cancer because a friend of yours called and their loved ones might have something to do with cancer and you Googled for it. "Then you find not only do you get lots of ads about cancer but suddenly your insurance agent calls and your health insurance has been cancelled just because the machine – an algorithm – weighed up the bets." Berners-Lee cites a study that asked US students whether "the deal was worth it" – if the services they receive online made up for the violation. It wasn’t good news for Google. "This new research shows that, no, actually, people don’t feel it’s worth it – but there is nothing they can do about it," he points out. "They feel their information is being abused. They don’t feel that a free search engine is worth it. There is a question mark over the whole thing." He believes the web needs to move to an accountable system. One that tracks where information is coming from and how it is being used. For example, in healthcare, a person could log into their blood tests and see which doctors or researchers had looked at their data and why. One of Berners-Lee’s students recently built a dummy system that allowed people to view how their data was being used. "People felt they were much happier for the data to be less locked down – to be much more available – if they had this map and could see who had the accountability," Berners-Lee explains. "In fact, [this would work] in hospitals particularly. You don’t want to be carried in an ambulance and the doctors can’t get into your data. It can be critical." In such a system, you could veto data being used in a certain way. For example, Berners-Lee says he would not mind an online publication using his reading habits to try to figure out which articles are interesting. Likewise, if a retail site wants to use social networking data to help users shop, he could see customers being happy to share information to improve their shopping experience. "It was not supposed to be a publishing medium. It was supposed to be a collaborative space"
"If it was money they would have paid up to a certain limit, then I would like to pay. I would like to do that also for my children"
"I don’t like them. I don’t appreciate it. They are disrespecting the customer"
"I think very few people use them. I don’t think there should be a problem"
"I do think advertising in magazines and some video ads can be really creative and really fun. If it’s well done, done tongue in cheek – that sort of thing"
"Respect your readership. Don’t be over-intrusive. It’s not cute. It gives the ad industry a bad name. If you’re a reasonable advertiser, if you’re advertising in magazines or wherever, put pressure on your colleagues or CEO not to do it in an intrusive way so you don’t drive people off to ad-blockers or block websites"
"I think building a world where we can use data, where there are many valuable uses of information allowed, but there is some tracking to make sure it’s appropriate – there’s a world in which I voluntarily give [data]," he suggests. In March, exactly 25 years after writing the draft proposal for what would become the world wide web, Berners-Lee called for a bill of rights. His comments kicked off a wider campaign called The Web We Want, which is asking for people in different countries to put together guidelines for the web. It is being organised by the World Wide Web Foundation, which Berners-Lee established in 2009 to advance the open web "as a public good and basic right". One of the major threats to his vision is net neutrality. Berners-Lee says this is key to retaining an open market: "It’s no good if you develop a brilliant product but BT blocks access to it because BT wants to do something else." Although there have been angry reactions in the developed world when internet service providers have slowed down rivals’ products, it is important to stay vigilant, Berners-Lee warns. The Netherlands has enshrined net neutrality into law but the situation is not clear at a European Union – and certainly not at a global – level. Moreover, the big tech companies are developing "walled gardens" such as the Facebook phone, which restricts access to the "real internet" in return for free data. "[Net neutrality] is a really important part of our civilisation," Berners-Lee explains. "Like the importance of the press, the independence of the media is very important. We feel independent press is important for democracy. [An open web is] necessary for democracy and it’s necessary for an open market." Attempts to limit services on the web are not the only disappointment. There are "just chunks of it" that are disappointing, Berners-Lee says. He wanted the web to be a "collaborative space" where people work together – not a platform on to which people project "streams of information" at each other. Scientists are already good at working on open-source projects but he thinks media outlets including Campaign should adopt the same approach. Berners-Lee’s ideal would be for readers to work on articles in real time. At present, most of the debate on websites tends to happen below the line and rarely influences the substance of the main piece, unless errors are found. The Guardian is among the media outlets to have opened up – collaborating with readers through its GuardianWitness initiative and live blogs – but you can hardly imagine it accepting edits of its front page in real time. So if media companies have it all wrong, what about advertising on the web? Berners-Lee concedes that advertising "can be really creative and really fun", especially if it is tongue in cheek. But, generally, he is not a fan of online ads: "I try to restrict the sites I use with no pop-ups and nothing flashy. It would be nice to have some sort of web standard which does forbid certain things. Keep the advertising to the bottom and the right. I resent the distraction." Berners-Lee also believes people should have the right to buy themselves out of advertising. He proposes that an independent arbiter could negotiate between advertisers and the public. The public would be able to pay whatever the advertiser would have paid in order to not see its ads. He accepts this situation would add to the inequality in the world, but he still wants it – particularly for his children. In the Palais back in June, Berners-Lee wrapped up his talk with a warning. The coming AI revolution could only pose a threat to humanity if companies were afforded the same rights as people, he said. That would be a "red line". Then, after a dramatic pause, he pointed out that it has already happened. When the US Supreme Court ruled that corporate companies and unions could spend as much as they want on political issues in 2010, that line was crossed. In December 2014, Stephen Hawking warned that the development of AI could spell the end of the human race. Berners-Lee agrees, saying the bleak end of Ex Machina is basically a "yeah, right" to whether we can stay on top of the technology. If the point of Sentience is that marketers need to be ready for the AI revolution, maybe the wider world needs to wake up and start thinking about what sort of revolution it wants to bring about in the first place.